In which the author will muse over and pick apart various aspects of science, technology and economics and how these subjects are treated in fiction. 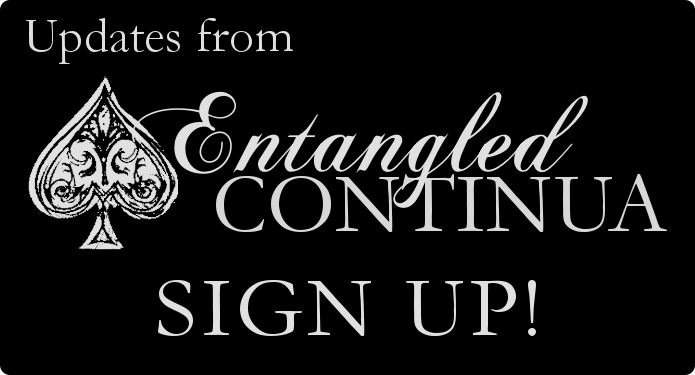 At some time before Thursday evening (Aug. 28), Entangled Continua’s database became corrupted, resulting in a very generic database error message. While all posts have been recovered, any comments or trackbacks made after August 4th have been lost. I apologize for the interruption and the inconvenience. This entry was posted in Uncategorized and tagged database error, error message, generic database, inconvenience, interruption, trackbacks on August 30, 2008 by katenab. Click on the covers for more information about novels and collections from Eric Nabity and Katherine Nabity.